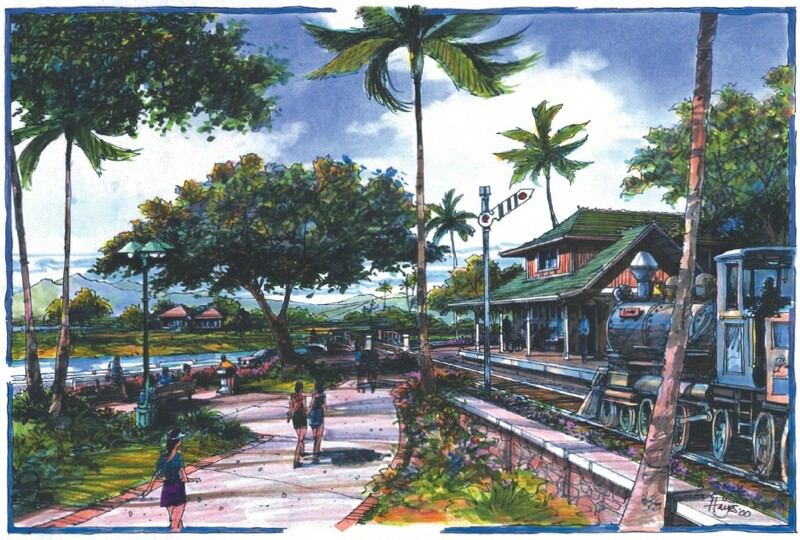 Pearl Harbor Historic Trail concept art – Waipahu depot proposed redevelopment. From PHHT Master Plan. Create an outdoor recreation and transportation network. Use the OR&L right-of-way as a springboard for historic preservation and education. Create economic opportunities for community businesses. Enhance environmental preservation and education. Trails and greenways are a proven way of improving quality of life, increasing property values and stimulating economic growth. *All images on this page are from the Pearl Harbor Historic Trail master plan, linked below. Map of Pearl Harbor Historic Trail. From PHHT Master Plan. 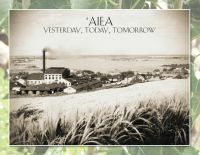 Proposed redevelopment of Aiea’s coastline under the Pearl Harbor Historic Trail master plan. From PHHT Master Plan. 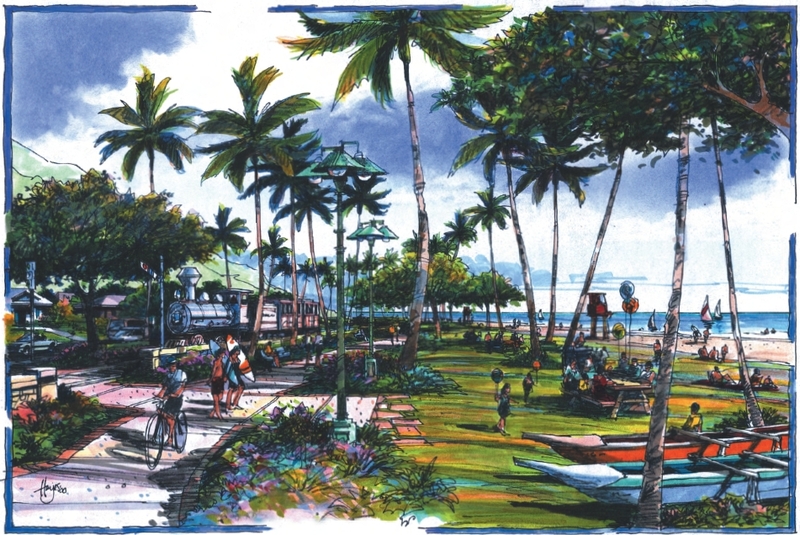 Concept art of the Pearl Harbor Historic Trail as it passes through Nanakuli. From PHHT Master Plan.